Going to Swiss-BellHotel where Joe's Grill is located is very interesting. It is located in Mangga Besar, a part of China Town in the city. The presence of the hotel gives a different touch to the area. The taste of corporate style colors the area that has been known as a place for middle level business. Stunning and elegant! That is how I feel about the hotel. Now, let me talk about Joe's Grill. Let me talk about the dinner. 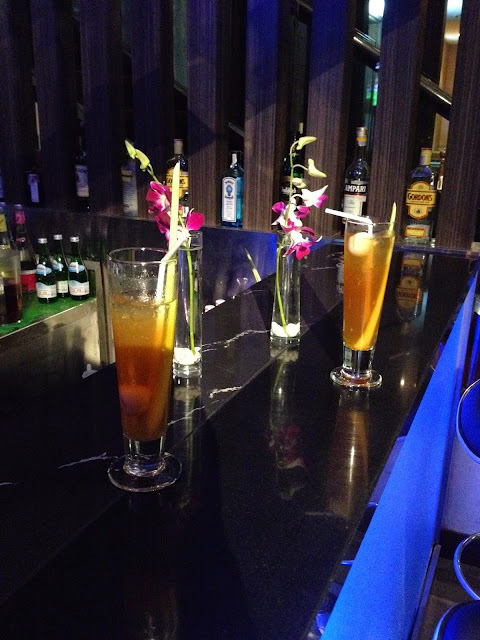 The Wagyu Dinner is opened with a fresh Thai Lychee Tea. A great ice breaker for the night as I start the conversation with the other guests. 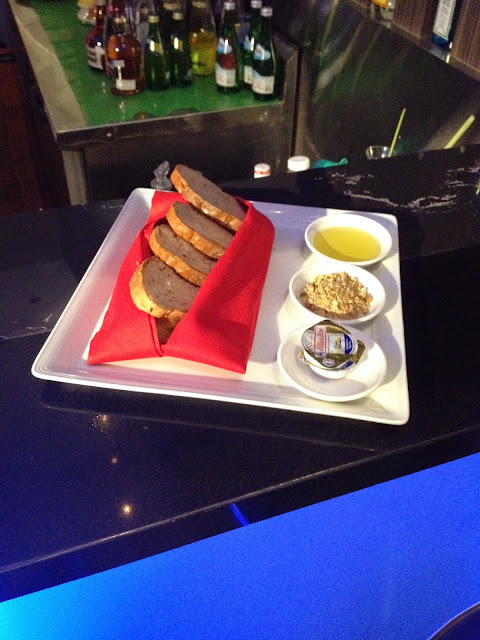 The option for salad is the Swiss Grill Style Caesar Salad or House Chef's Salad. I choose the first one. I enjoy the combination of its vegetables, beef bacon, fried chicken and parmesan cheese. The selection of the sauce is barbecue, mushroom or black pepper. My usual habit is to choose the mushroom one. But hey, do you know what? This time, I ask the waiter to serve me all of them. There is nothing wrong about exploring the taste, right? Here comes the story of my exploration with the main course. 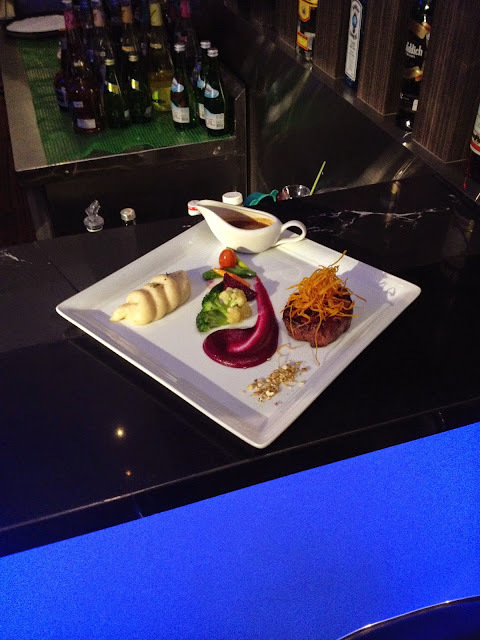 My Wagyu Tenderloin comes in medium rare with some vegetables, some drops of beetroot soup and all the three sauces. 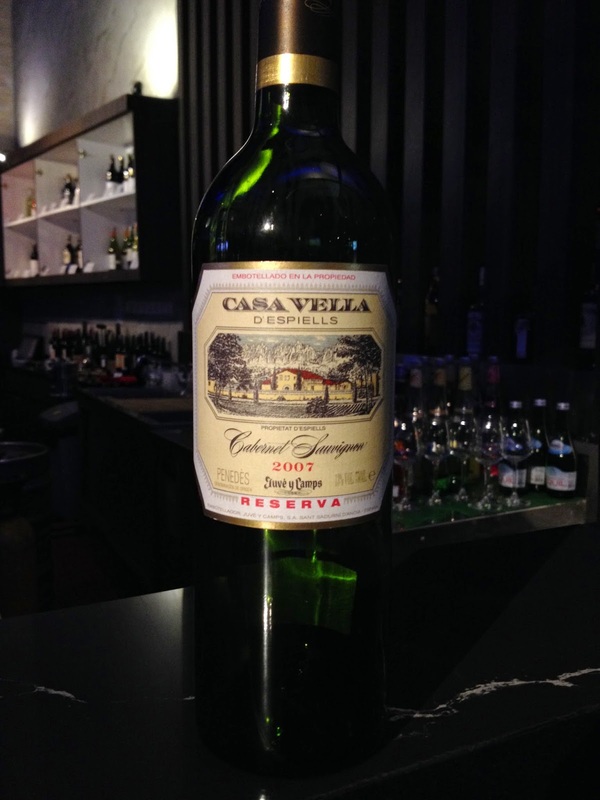 It is also accompanied by Casa Vella Cabernet Sauvignon 2007. The tenderloin is cooked in a perfect way of medium rare. It is soft and not over-cooked that is easy for me to cut and chew. It still has its cheerful red color inside that looks so fresh. Perfect! Thank you, Chef! The taste of the tenderloin is strong with black pepper sauce, while it tastes a bit flat with mushroom sauce. With the barbecue sauce, the taste of the tenderloin comes between the first and the second sauce. Great! When I combine the tenderloin with smashed potato, the ones with the barbecue sauce is so much better. When I combine the tenderloin with smashed potato and red wine, the ones with the mushroom sauce is the better one. Then I decided that my favorite sauce from the three choices is the barbecue sauce. It tastes so fresh, light, not too plain, not too strong and gives a happy feeling on my mouth. While enjoying the tenderloin, I dip the vegetables in the drops of beetroot soup. The beetroot soup enhances the taste of the vegetables. Dang! Such a perfect combination! 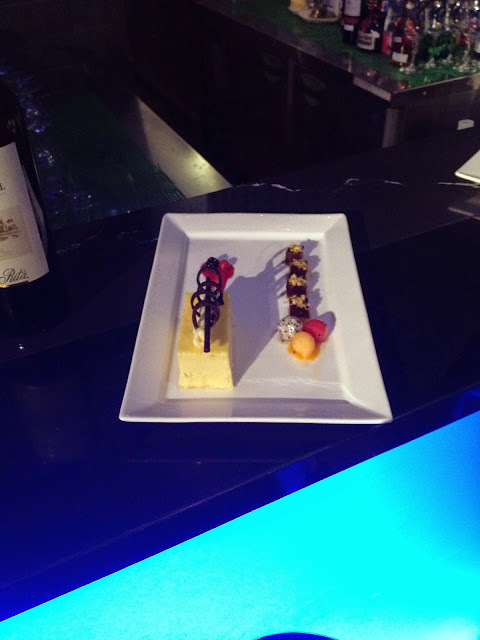 The Cheese Cake is quite nice, as it does not taste too creamy or too fatty. On the side of it, there are small bites of brownies cakes. The Ice Cream Truffle is the best one! 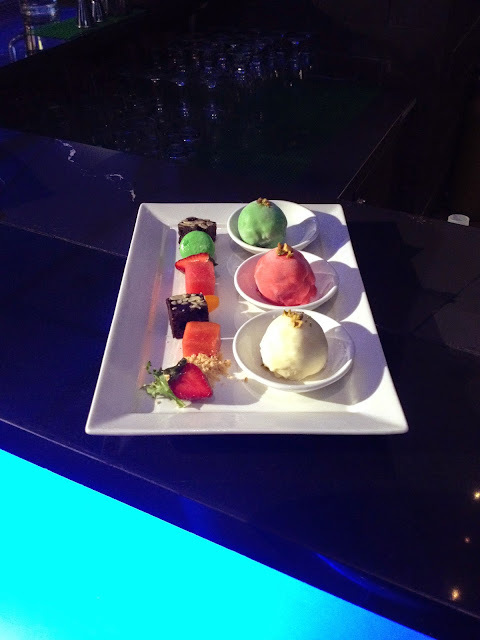 The ice cream comes with flavours of Vanilla, Strawberry, and Matcha Green Tea. There are also some bites of small fruits, brownies cakes and macaroon on the side of it. I am falling in love with the Matcha Green Tea one, as it feels so smooth in my mouth. Usually, other restaurants provide the bitter Matcha Green Tea ice cream, while Joe's Grill has the lighter version of it. Nice! Some other small details that I like about having this dinner is the crumbs of peanuts that come with the french bread and the crumbs of cookies that come with the ice cream. Small details that makes a difference. Special! The dinner is closed with a great networking, a nice reunion of those who ever lived and worked in Bali, and a great happiness in the belly. A perfect combination of dinner and friendship.